As I remember, Ms. Daniels was a quiet unassuming and soft-spoken person but when she spoke one listened carefully because you knew there was much to learn from her. She was a gold mine of knowledge and was invaluable when it came to her work ethics. Ms. Daniels became Registrar of Companies in Bermuda and once she did it was no stopping her from accomplishing her goals. She was instrumental in drafting Bermuda’s Comprehensive International Insurance Law in 1980. She piloted the Island from 2000 International Companies to 8000 licensed local and overseas Insurance businesses in nine years. There was a Scholarship for business Administration named in her honour in 1996. Bermuda no doubt lost a great pioneer in the passing of Ms. Daniels. WILLIAM SOUTHWORTH COOPER O.B.E. was classed as an Elderstates-man by many who knew him. He was actively involved with the legislature of these Islands since 1928, when he was elected to the house of Assembly as a representative from St. George’s Parish. He was chosen at age 76 to represent the Colony at the festival of Britain at the invitation of the United Kingdom Government. When asked by friends if he felt he was up to the task he replied.” This is the first time a coloured man has been sent away to represent Bermuda. I don’t mind whether I die in Britain or Bermuda. I am not going to let my people down or Bermuda.” He represented Bermuda to the best of his ability. Although born in St. David’s Mr. Cooper became a resident of St.George’s. Ernest Drew (well-known as Dickie”) was a proud St. Georgian. He was one of the earlier members of the Progressive labour Party soon after its founding in 1963. He brought with him the political enthusiasm and know-how gained from canvassing with Dr. E.F. Gordon in St. George’s in his successful bid to represent that area in Parliament. Mr. Drew was described as an activist — his community, church, political and sports activities were overly extensive and should never be forgotten. His most active period in politics was during the leadership of Dame Lois Browne Evans. During that time he served as chairman of the St. George’s branch and as a delegate to the party’s central committee. Mr. Drew first stood as a candidate in 1976 at which time he contested the St. George’s South constituency. He contested again in 1980 and 1983 general elections, ironically when he contested these seat his running mate was the young Jennifer Smith . It was a proud moment for him when St. George’s won its first seat for the P.L.P. in St. George’s North constituency. He saw Ms. Jennifer Smith whom he nominated win that seat in 1989. How his spirit must have rejoiced as she progressed from Jennifer Smith to Dame Jennifer and one of the Islands former Premiers winning the elestion for the Progressive Labour Party in 1998 and again four years later. 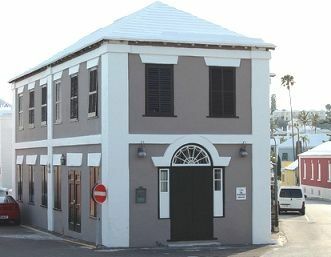 Mr. Drew diligently worked for the residents of the town of St. George’s as the chairman of the St. George’s Citizens Committee of which he was a founding member. Other founders were Louis Ming, Reggie Brown, Earl (Sharkie) Simmons Lynn Paynter and Myron Brangman. This committee grew out of the St. George’s Franchise Committee,which had successfully campaigned for lower corporation taxes. He was voted in as common Councillor in 1979 and served on the Corporation until 1991. He actively campaigned to resolve many other local issues, calling for a permanent ambulance for St. George’s , a full-time firemen service and for East End Mini Yacht Club to have more control over their facilities which was rented at the time from the than Government of the day. Mr. Ernest Drew should be remembered for his contributions to not just St. George’s parish but to Bermuda as a whole for he was a man who believed in people and fought for the rights of his fellow-men. 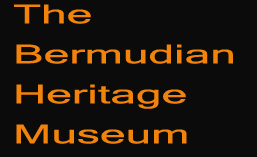 Before the days of fast food, take out and pizza deliveries Bermuda was privileged to have a gentleman with a vision of operating his own small business. Mr. Campbell Richardson introduced a lunch wagon one of the very first in the Island. Besides his lunch cart he operated a small Ma and Pa shop on Glebe road in Pembroke and sold various goodies to the residents in the neighbourhood. He established himself as a restaurateur providing Bermudians with the first sample of fast food service and take out meals. His business grew in popularity and he had to move to larger premises. He moved the business to the lower North Shore road. Here he included a wider range of delicacies including ice cream,water ices and his famous Richardson Beef pies. Along with this community service he supplied ice cream to the many church groups for their yearly picnics and also sold his wares at the annual cupmatch classic. While the store flourished in North Village he still peddled fast foods from his lunch wagon and included fish cakes, fish pies and cool drinks on the menu with his beef pies on Front Street sometimes travelling to the Western parishes as well. Business grew fast and furious and eventually Mr. Richardson purchased property and erected a tin shed on to his home and continued to operate his business. The name Campbell Richardson became a house hold name. Upon his retirement he handed the business over to his daughter Olive Trott. Her first task was to demolish the tin shed and build a beautiful stone structure just across the street from Grace Methodist Church on North Shore. It was like a stop by for travellers along the North Shore Road. Olive was a true business and people person and soon many bazaars were held on the premises as well a merry-go-round put in place for the pleasure of the children in the neighbourhood. Legend has it that the walls of the restaurant was lined with photos of celebrities from all walks of life. Including in that group was the famous boxer Muhammad Ali. Like many Ma and Pa stores after years Campbell Richardson’s cease to exist and in its place now stand a complete contrast that of the Pearman funeral home . However area residents still get their fast foods and some very tasty Beef pies, fish cakes and other goodies from the well-known Degraff’s lunch cart and still have the pleasure of visiting his restaurant on Parsons road in Pembroke.